A Ruling Class have emerged in America against the hopes and designs of our Founding Fathers. Over the last hundred years, they have rejected the Constitution and expanded their own power, slowly at first and now rapidly. These people believe their actions are justified because they think they are smarter than the rest of us-so smart they can run our lives better than we can. But for all the power and resources at their command, they have failed-miserably. Society has become increasingly unequal, even as we're promised 'equality.' Our government finances are out of control, our basic infrastructure is broken, and education is unaffordable and mediocre. And yet the Ruling Class think the solution is for us to grant them ever more control. We can stop this-but to do so we must unite. 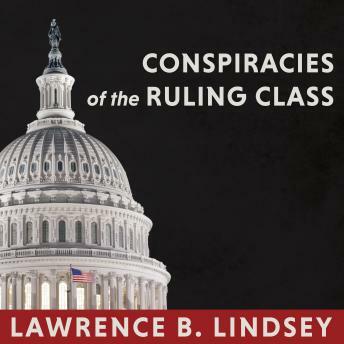 In Conspiracies of the Ruling Class, Lawrence B. Lindsey lays out his plan for how we can use common sense to change the way our country is run. Finally, here is the truth from a Washington insider about how to reawaken the spirit upon which America was founded, with liberty for every person to pursue his or her own dreams.